Publication Website Designs - Completed and in-production website solutions for publishers. » Click here to view our portfolio. The team has always performed above and beyond; always providing more than was promised or expected. 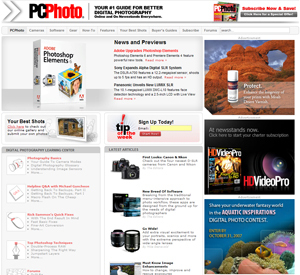 Your #1 guide for better digital photography, PC Photo is the top digital photography magazine.